A queen of the French Riviera, Nice is a must-see for travelers who are looking into exploring France’s stunning coastal location. After all, with its year-round sunshine, this city is a haven for sun-seekers too! That being said, for such an exceptional destination, you surely must stay in an equally exceptional setting; that’s why when it comes to the best accommodation, it should be no other than the finest boutique hotel possible: Best Western Plus Hotel Masséna Nice. Prime Location. 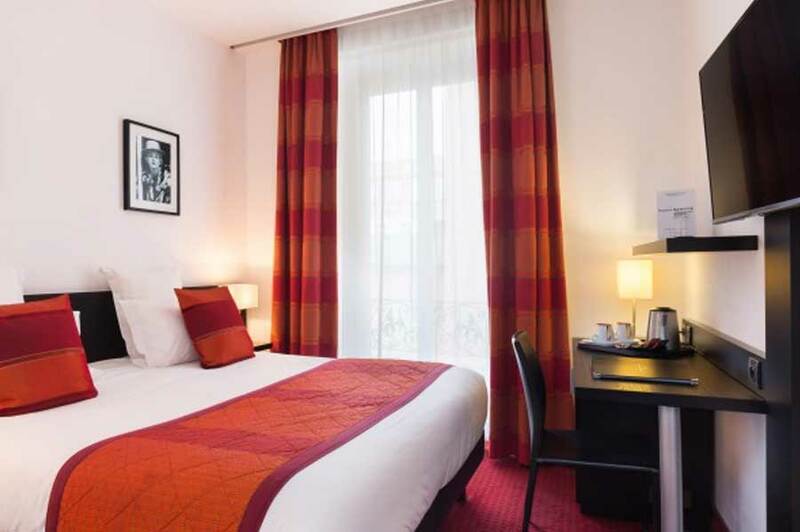 Smacked right at the heart of Nice’s city center, Hotel Massena is very close not only to the beautiful Place Masséna, but to the city’s iconic attractions and beaches, Promenade des Anglais, the Old Town, and so much more. Furthermore, it’s also just a mere 20-minute bus ride or a 15-minute car ride away from the airport. Lux Interiors. 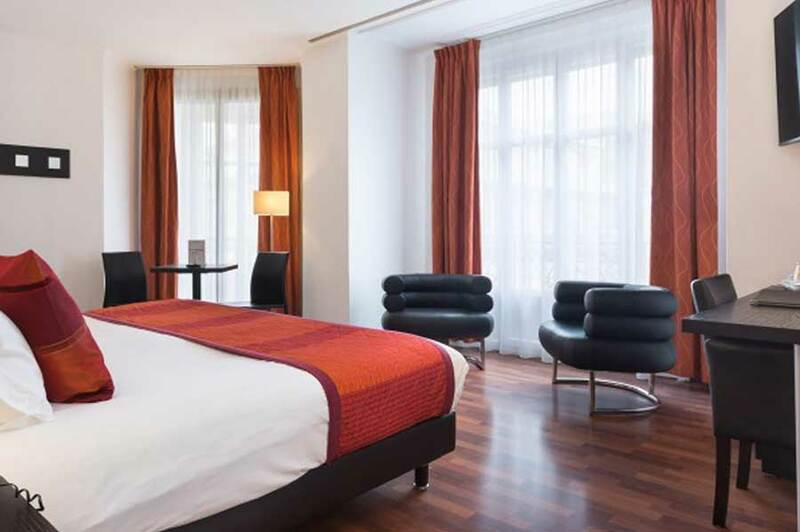 A “modern-pop art” scene, Hotel Massena has been designed by Mrs. Leng, the hotel owner, who ensured that the aesthetic features are of the highest quality, inducing an emotion of warmth and sharpness. Newly-Renovated. To better enhance the experience of the guests, the guest areas as well as all of the rooms have been entirely renovated and redesigned as of 2014 in order to blend in with the overall theme of ‘Pop Art’. With such a change, it was surely a delight to see how almost every corner of the hotel was a sure eye-candy! 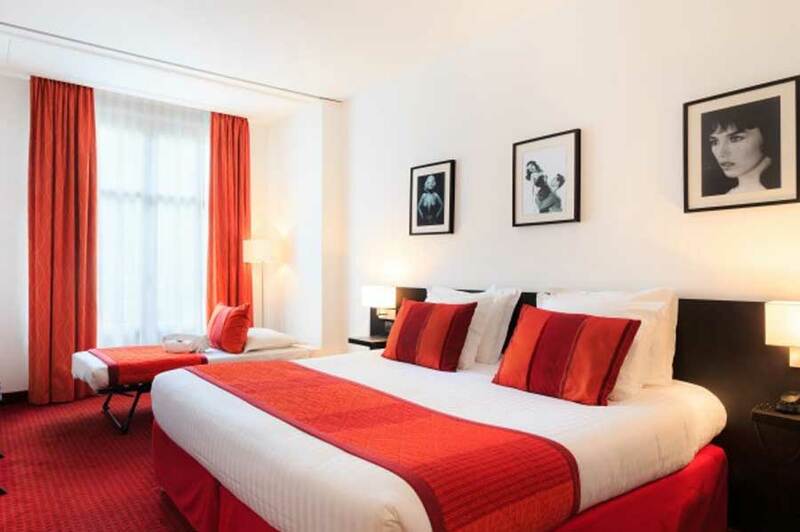 Best Western Plus Hotel Massena Nice has over 110 rooms and a suite. I personally had the chance to stay in their “Sofia” Junior Suite and one of their Deluxe rooms and it was definitely a staycation that made me feel right at home — a ‘home’ that was more comfortable, luxurious, and refined. Private Beach. If you’re interested in lounging by the beach of Nice, Hotel Massena has partnered up with Ruhl Beach to grant its guests a discounted price of €25 per person (instead of the original price of €33) and this will already include an air mattress, parasol, towels, and changing rooms access. You can avail of this coupon by inquiring at the hotel reception. Breakfast. A buffet breakfast is served on the ground floor from 6:30AM to 10:00 AM (or 11:00AM in the summer). It serves an array of selections such as pastries, cereals, fresh fruits, charcuterie, cheeses, sausages, salds, fruit juices, hot drinks, eggs, and more. Bar. The perfect place to unwind as the day ends would be this bar area that’s open 24/7. It has a wide range of choices for fresh cocktails, beers, wines, champagne, and more. The staff in Hotel Massena surely helped made my stay in Nice even more memorable than it already was! They were absolutely approachable and are extremely helpful with whatever inquiries I had. Rest assured, their reception personnel are all multilingual and are available 24 hours a day. They also offer assistance on transportation, tours, luggage service, currency exchange, photocopying, etc. Booking: See the BEST deals and prices for Hotel Massena at their own website, Agoda, or Booking.com! Disclaimer: Thanks to Hotel Massena for sponsoring my stay; but as always, all thoughts that are expressed in this article are fully my own. I couldn’t have asked for a better hotel because Hotel Massena surely met my expectations — and more! 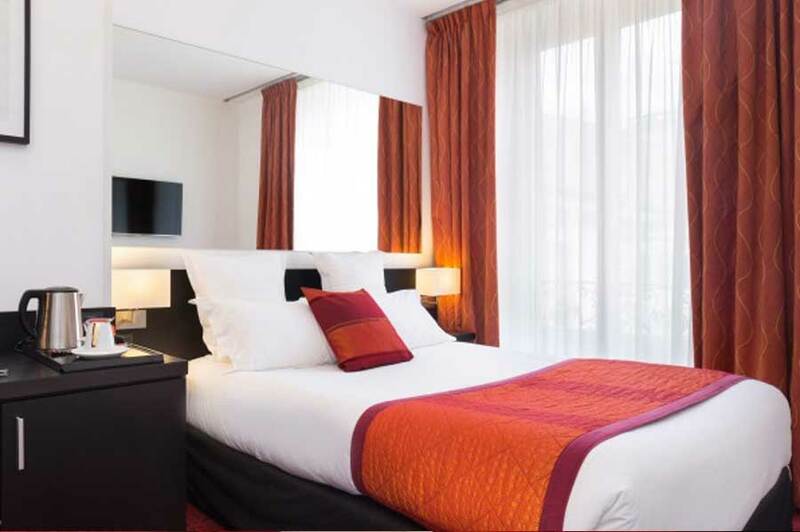 To add, with its close proximity to the city’s sights, its grand views right outside my bedroom window, its scrumptious delicacies, and its lush services and amenities, this is surely the best choice that you can ever go for when it comes to your accommodation in Nice. So… what are you waiting for? 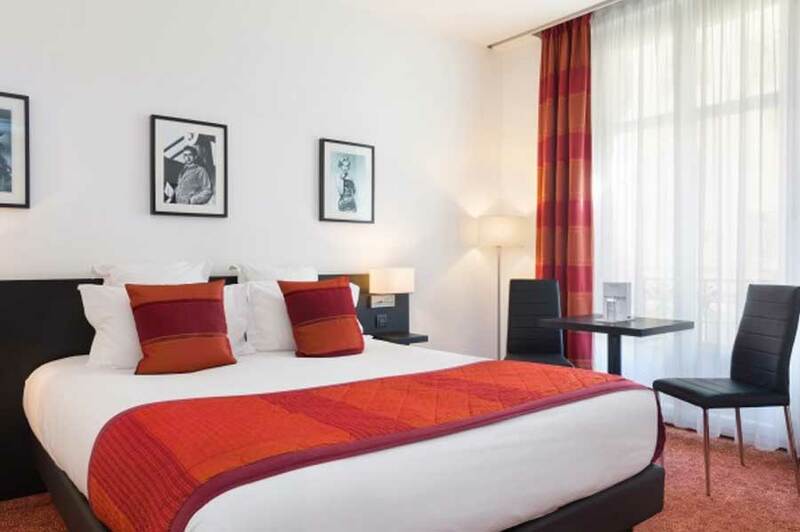 What do you think of Best Western Plus Hotel Massena Nice? All of these photos are so great and wonderful! I love these all. I would love to visit there. The interior of the hotel and its location is just amazing . All the pictures are great. Thanks for sharing your experience. I'm glad you love the design of the hotel too! omyy! the room looks so elegant!! would like to visit this place in France someday! And I hope you do!! This is really lovely. I like the spacious interior. The bed looks really comfy as well, perfect for sleeping on after touring all day. Wow!!! The place is really beautiful. Who wouldn't want to stay there whenever they're in Nice. I love the decor too. It's also pretty central, so no worries there! I would love to go to Nice! It looks so amazing! If I ever make it there, I will have to stay here. It looks like it is in a great location, and I love that guest can use the private beach for a discounted price. Sounds like a wonderful stay. Hey Ming! Haha, now that you mentioned it, I had to check haha. Yes shy ako ng onti, di ko kaya energy nila Baninay haha jk. Thank you! Awww, you're so sweet to say that! Thank you ah. 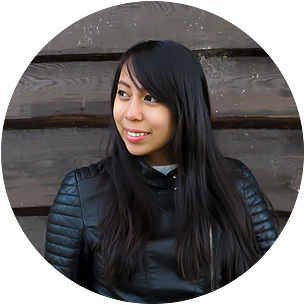 <3 If you're interested, I make vlogs too on YouTube! I hope to see you there! Salamat Ming! Beautiful Pictures! Hope you enjoyed a lot. After reading your article, i will also plan to go over there!